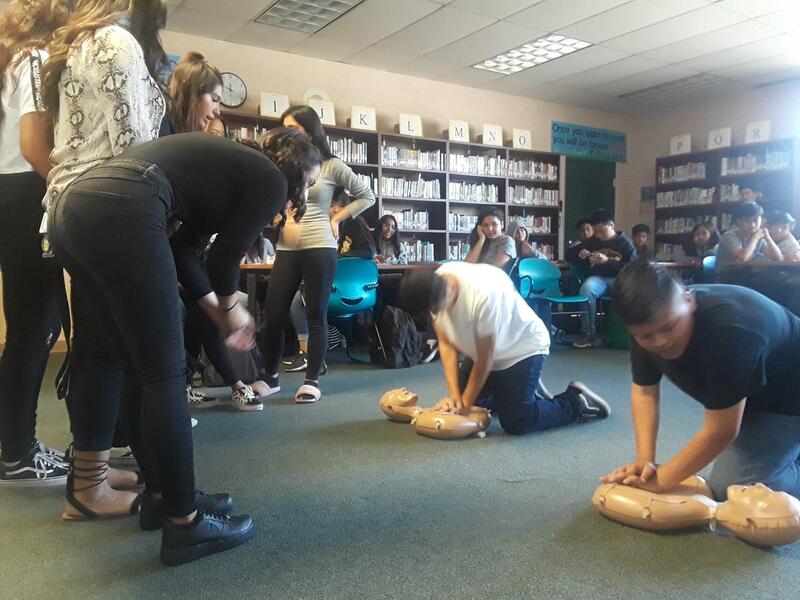 The Andrew Hill Medical Magnet sophomores were trained in hands-only CPR, and went to Sylvandale Middle School to teach this valuable, life-saving skill to our Health Academy middle school students! To prepare for this, our sophomores participated in a training in a hands-only CPR, then learned how to develop a lesson plan. This was done as a part of the certification and leadership training our 7-12th grade program offers. The 8th graders were trained in the skill, will receive a refresher course in 9th grade, then will be trainers of the skills themselves in 10th grade! In 11th grade, they will receive their full CPR/First Aid/blood pressure screening certification through the American Heart Association in their Physiology class. As seniors, they will have the opportunity to assist the sophomores in training the 8th grade students.